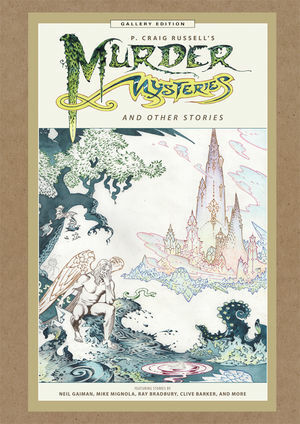 This gallery edition features high-quality scans of master illustrator P. Craig Russell?s original art, printed at art-board size, in a collection of stunning, complete adaptations of works by Neil Gaiman, H. P. Lovecraft, Ray Bradbury, Mike Mignola, Clive Barker, and Oscar Wilde; the Spirit story ?Art Walk? ; and much more stunning artwork by this legendary graphic storyteller. * Reproducing P. Craig Russell?s original art at full size. * Stories by Gaiman, Bradbury, Lovecraft, Mignola, and many more!